The familiar blessing is on the can but an unfamiliar blessing awaits. 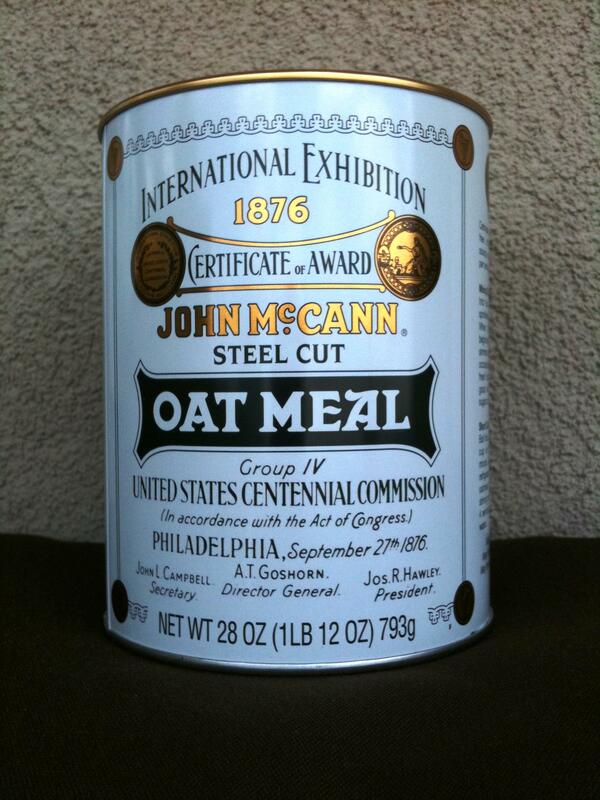 McCann’s Irish oats have been around since the early 1800’s and won an award at the World’s Exhibition in Chicago in 1893, but I didn’t get my first taste until quite recently. I guess the fact that my mom never fixed it, it takes 30 minutes to cook and is more expensive than the more familiar brands, deterred me from discovering this little treasure sooner. There is such a vast difference between Quaker’s and McCann’s that I can hardly put them into the same category. It’s all about taste and texture. Nutty little seed- like grains break open when chewed and yield a squishy, satisfying something that mixes perfectly with a little butter, milk and brown sugar. I really cannot describe it so I will make a simple command: Try it…you’ll like it. It was fabulous…just as promised! My son, who has only know instant, wasn’t as fond, but I loved it! Thanks for the recommendation. I got some today….tomorrow morning is the test. I can’t wait! If it’s even half as good as A Thousand Gifts (Pepper told me you loved that book), which I am absolutely loving, then I can’t wait to try the oatmeal!!! Our new oatmeal at Chick-fil-A is steel cut. No 30 minutes there. 60 seconds at most.